It is worth mentioning that this list is compiled from books that I read in 2016, not necessarily just books that were published in 2016. Clicking on the cover will take you that book’s Amazon page, and there is also a link to my review (or a review that reflects my opinion). I was, like, “Whoa!” Hooked then and there. While we’re on the subject of Mike Nappa, his second release features one of the quirkiest characters I’ve come across: The Raven. First things first: I think I’m in love. It’s not often that a beautiful woman just walks into your dumpster-decorated apartment and acts like she belongs there. It’s even rarer for that beautiful woman not to run screaming the minute she sees a bunch of mobsters beating you into a bloody pulp in the kitchen. Nice. She knows who I am. I try not to cough blood when I smile at her. I shrug, but I can’t stop smiling. I can’t keep my eyes off her, either. Yep. If you’re a fan of droll humour, he’s definitely a character to check out! Read my full review here. While we’re on the subject of humour, I found a fantastic new author this year: Kimberly Stuart. Think of the sudden rise in teenage abstinence if a group of postpartum women stormed seventh grade classrooms and lifted up their shirts. I entered the back door of my classroom to Ms. Stillwell’s frantic commands. The woman could screech. Let’s just say I wouldn’t be asking her to record Nora’s favorite lullabies any time soon. Think emu on meth. There are times when being the life sustainer of your child is rewarding, when the knowledge that you are feeding her exactly what she needs makes you feel like belting out “The Circle of Life.” And then there are times when breastfeeding is a big, lactating pain in a lumpy, postpartum rear. And then there’s the scene where she hears another baby crying in the shopping centre and gets a let-down. If you’ve ever breastfed, I’m sure you will relate! While I haven’t written a review for Balancing Act, you can read my review for the third novel in the Heidi Elliott series, Better Together, here. The best part about this series is that the humour doesn’t override the more serious issues Heidi is working through. It’s a fantastic hybrid of chick lit and women’s fiction. I haven’t actually written a review for this novel, so I’m going to direct you to two reviews that speak my heart on this book: one by Meghan Gorecki at Northern Belle and the other by Rachelle Rea Cobb. Would you believe I’m actually getting that tell-tale tingle in my nose even as I type this innocuous post? Definitely a tear-jerker. But, oh, so beautiful. This was a fascinating world of porcelain and clockwork people (porcies and tocks) that kept me reading with ‘curiouser and curiouser’-like wide-eyedness. (Oh my goodness, the spell-check just had a field day!) You can read my full review here. A dystopian set in an Old Order Mennonite community? Yep. And it’s a compelling read. I can’t wait for the sequel, coming in June 2017. For now, you can read my review of The Alliance here. You might be wondering how there could be any surprises in such a well-known Biblical story, but that’s exactly why this story was such a surprise. There was so much depth to these characters, and Angela Hunt was able to fill in the story in such a way that their choices made sense, even if they were ill-advised. I was surprised by how sympathetic I was towards Delilah, in spite of the choices she made, and the ending was also surprisingly uplifting. Was Delilah really more than a scheming temptress? I’m not sure I’m totally convinced when I go back to the Biblical passage, but it was a surprising and fascinating read nonetheless. You can read my full review here. If you’re a lover of British cozy mysteries, you have to meet Drew and his wife, Madeline. Drew is the quintessential 1930s English gentleman, but he always manages to get caught up in murder and sinister plots. You can read my review for Dressed for Death here. P.S. – His next mystery releases January 31st. Not long to wait now! Hands down, this goes to the residents of Goose Creek! Al and Millie Richardson, are the central characters in this series set in small-town Kentucky, but you’ll get plenty of opportunity to meet Susan, the local vet; the well-intentioned, but grating Franklin and Lulu Thacker; and Millie’s cliche-loving best friend, Violet. Among others! Yes, there’s a female involved, and it’s even better when read in context. I get a secret smile every time I think of it. Even now. You can read my review here. Do you have any ‘most memorables’ to share? Image | This entry was posted in Christian Fiction, Historical Fiction, Memorable Characters and tagged Angela Hunt, Evangeline Denmark, Fiction Favourites, Joanne Bischof, Jolina Petersheim, Julianna Deering, Kimberly Stuart, Mike Nappa, Sigmund Brouwer, Virginia Smith. Bookmark the permalink. 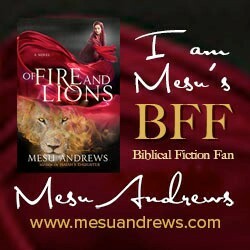 Thank you so much for including The Alliance, Fiction Aficionado! You’re a blessing to us authors and to readers, too! Happy New Year! I also meant to say, before WordPress so rudely posted precipitously, was Happy New Year to you also. So many good reads to look forward to in 2017!